This Weekly group is currently enrolling for SPRING Semester which Starts week of April 29th! Apply For your Spot Today! Apply for a Spot in Group Today! Get Your Teen the Support You Both Need!! Is your teen feeling stressed and overwhelmed? Then this group was created just for them! In this brief 20 minute video above you will learn how this group is specifically designed to provide a safe, creative space for self-exploration, expression of feelings, and support to help your teen go from feeling overwhelmed to feeling empowered to create the change you both need and want. This is a great video to show your teen if you're not sure how to explain what happens in a typical group therapy session. Yes, therapy can be fun and something you look forward to each week! ...to feeling accepted and understood! Teens will be exposed to new and uncommon materials and media expanding their perspective about what it means to take creative risks. You'll feel the difference too! This is an open enrollment 90 minute group that meets weekly. Teens begin and end at various times throughout the year. You will receive your official start date after you've completed the Initial Interview Appointment (50 minutes) and have been accepted to participate in the group. Spring Semester starts April 29th. It is an 8 week semester and ends week of June 24th. Members can be added at any time if spots are open up to the last 4 week of each semester, so reach out if you are interested! Includes all art materials used during group, weekly parent communication, and any care coordination that may be helpful. Start the process by completing an interest form to explore if group might be right for your teen! Time or day of week just not going to work? Please reach out and apply anyway! If there is enough interest a new group may form! Apply for your spot in group today! 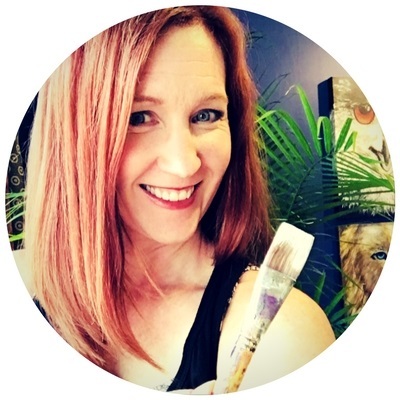 As a Licensed Professional Clinical Counselor and Board Certified Art Therapist specializing in teens, I am uniquely qualified to assist your teen in meeting their goals. I have run hundreds of groups and spent countless hours assisting children and adolescents to engage in creative expression to create change. "Being creative helps me feel like there is still good in me." "Even at my worst I can create something beautiful." "I never saw my situation in this way before." "Art therapy helps me relax my mind and my body." "It helps me look at problems in a new way." "I can tune out in a good way."